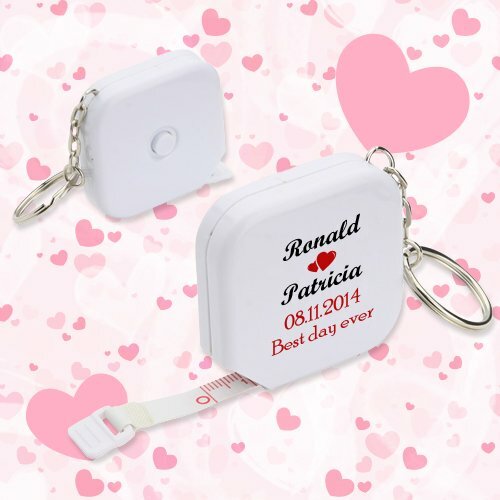 Request a quote to know about savings that we offer extremely big orders of this personalized wedding square tape measure key chain – white. 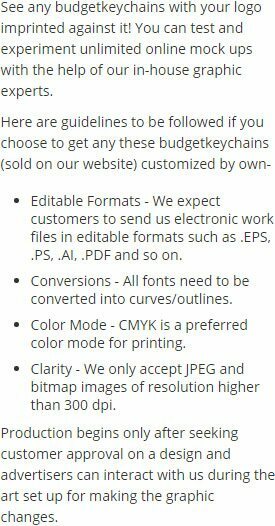 Features – Split ring key chain. Compact retractable tape measure. 5-foot measuring tape. Auto lock and push button return. Durable PVC tape. Material – White ABS case, PVC tape measure. Approximate Size - 1-7/8" x 1-7/8" x 5/8"
Imprint area - 1.25" x 1.25" ( on the side without button). Product Size : 1-7/8" x 1-7/8" x 5/8"